If you run any type of e-commerce website, own an Etsy shop, have an EBay account, or sell products on Amazon, then you need product descriptions that make your items sell out in seconds! 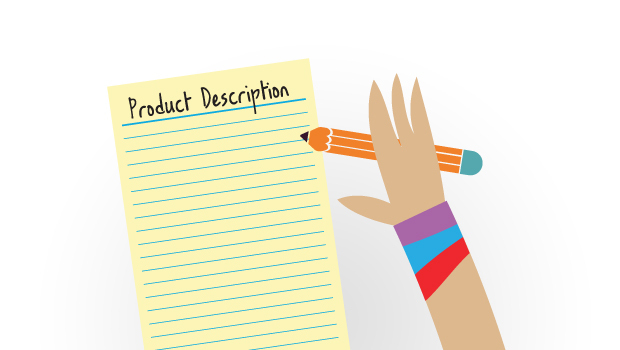 Believe it or not, product descriptions are super important in getting your item to sell. Whether you make jewelry or sell vintage clothing online, your product description paints a visual picture for a potential customer. When you have catchy product descriptions that thoroughly describe the product you’re selling, you’re more likely to make a sale! That’s where our professional writers come into play. Our seasoned writers know exactly what customers look for and they know how to entice buyers through the power of words. Furthermore, our writers incorporate SEO infused words so that your products show up in search engines. After all, invisibility is key in the internet age. Do you want your customer to imagine all the ways they could wear that beautiful scarf you’re selling? Or all the ways they could display that wall art you made, in their home? Fantastic product descriptions are the answer! Visit our store today to talk to someone about hiring a professional writer for your products today!